The month of January was a clean up month and inventory taking. Oh boy was that ever a lot of work! One of the issues with jewelry is that it is small, so little bits of stuff that I don’t know what to do with go in little baggies. And then those little baggies go into drawers and corners and accumulate. Turns out I have oodles of pieces that I’ve made over the years and put aside because I got sidetracked. Some of them are experiements, some are series that I no longer make, all need a new home. I’ve created a section in the online store called “Specials”. These are all one-of-a-kind pieces that are priced to go. I’ll add to the section whenever I have time to shoot a bunch of photos (you have no idea how time consuming that is). The pendants are sold without chains, you can purchase chains in the store but most of you already have many many many chains. 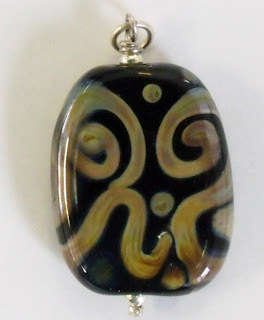 Check out Tribal Swirl and others, here.